Celebrating its historic 60th anniversary, the Alvin Ailey American Dance Theater is dancing into the holidays in New York City, with its five-week holiday season, which kicked off Nov. 28 and will conclude on Dec. 30. For those outside of New York or for those who’d rather honor the Civil Rights-era arts icon from the comfort of their couch, the dance company is also partnering with HBO to release a social media series featuring stars who were directly affected by Ailey’s artistry. 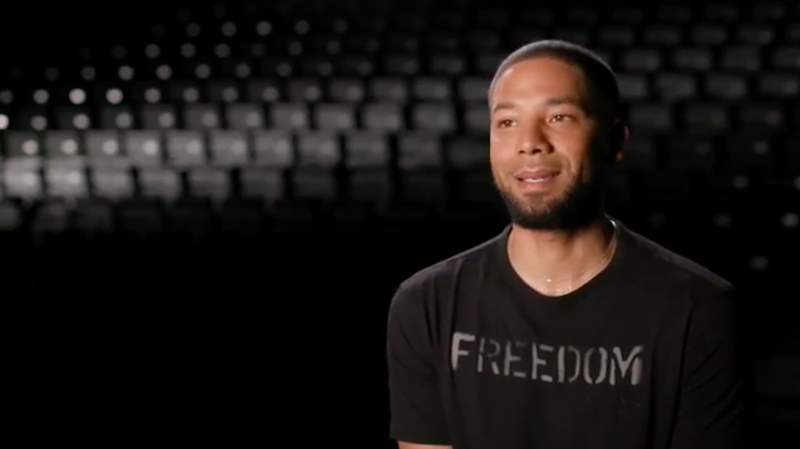 Jussie Smollett was the first to kick off the series on Monday, noting: “Ailey has been one of the biggest influences of my artistic life.” Throughout his creative process with music, he revealed he would watch Alvin Ailey performances on mute and allow the words and melodies to open up themselves to him based on the feeling awakened by the dancing. To Smollett, the Alvin Ailey company is a safe space. “When I see the Ailey company … I see freedom,”‬ he goes on to say. Other stars scheduled to share how Ailey impacted them and American culture as a whole include Black Thought, Vanessa Williams and singer Jillian Hervey. Naturally, viewers are expected to engage with the social media series, using hashtags #AlvinAiley #Ailey60 #AileyAscending. “Ailey is your favorite’s favorite,” Smollett concluded. The series will be available on Alvin Ailey’s official Facebook and Instagram pages.